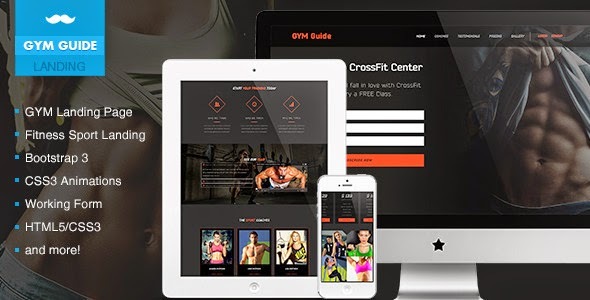 GYM guide is sport fitness Landing Page Responsive Template. It will be great if you want to subscribers for your Sport Club or sell your Training Courses. Item Reviewed: GYM Guide Fitness Landing Page 9 out of 10 based on 10 ratings. 9 user reviews.